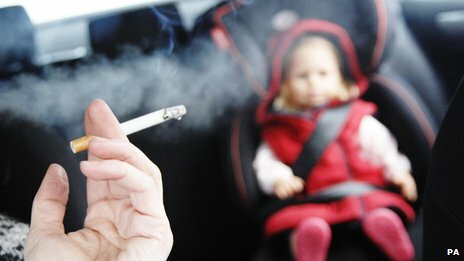 Smoking will soon be banned in cars carrying children in Britain, the government said on Tuesday, under new laws aimed at reducing the effects of passive smoking on young people. The ban has been criticised by some parliamentarians and lobbyists as an intrusion on individual freedoms. 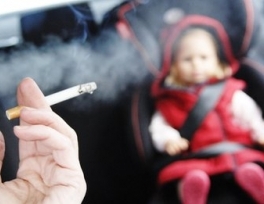 British American Tobacco said it agreed that children should not be exposed to cigarette smoke in confined spaces like cars, but said it would be concerned if the ban were ever extended to affect smoking when children were not present.